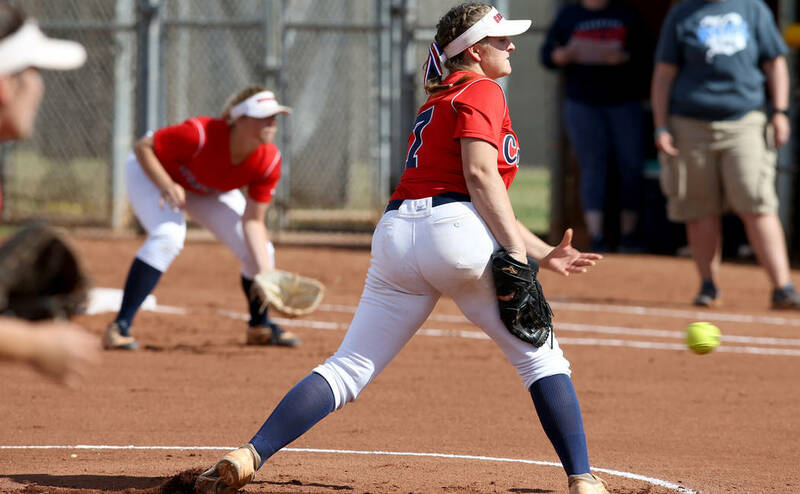 Ashley Ward spun a six-hitter and struck out 11 on Friday to lead host Coronado’s softball team to a 5-0 win over Basic in a battle of Desert League leaders. Kaila Angel went 3-for-4 with a triple and two RBIs for the Cougars (17-7, 8-0 Desert). 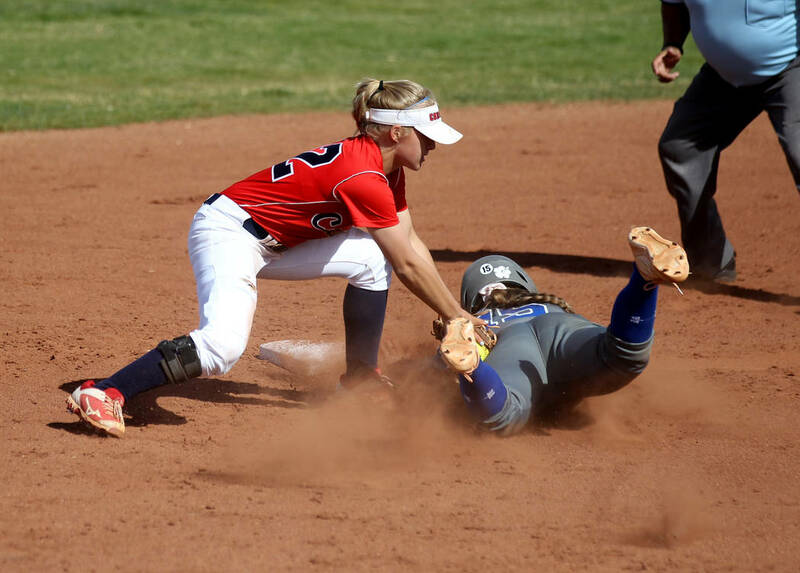 Katie Sullivan was 2-for-3 with an RBI for Coronado, which scored twice in the bottom of the first inning and added a run in the third and two in the fourth. Sanoe Helenihi was 2-for-4 for the Wolves (16-6, 8-1). Shelby Basso went the distance for Basic and struck out seven. 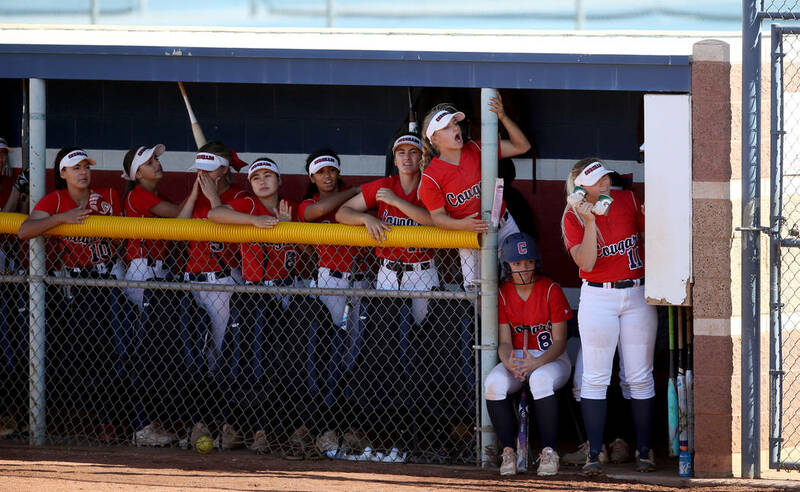 Bishop Gorman 18, Silverado 4 — At Silverado, Olivia Bailey and Ashley Kuckler each went 4-for-4 with a triple, a double and three RBIs to help the Gaels rout the Skyhawks. Hayley Coreas was 3-for-5 with a double and an RBI, and Katelyn Hunter was 2-for-4 with a home run and four RBIs for Gorman. 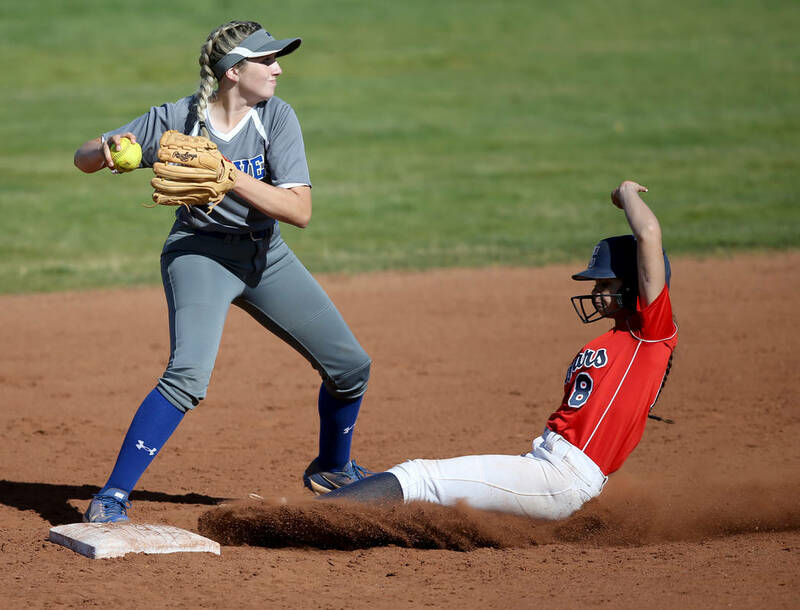 Megan Johnson was 3-for-4 with an RBI, and Destiny Capers, Alezandria Guariglia, Jessica Boothe and Olivia Johnson each added two hits for Silverado. 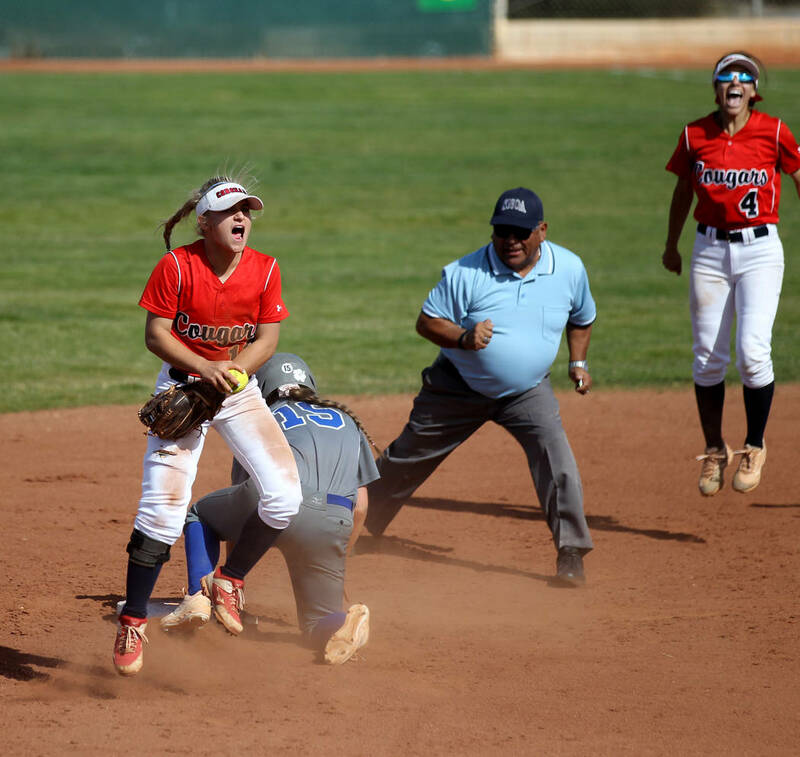 Bonanza 6, Legacy 4 — At Bonanza, Samantha DeMattia tripled and drove in two runs as the Bengals downed the Patriots. 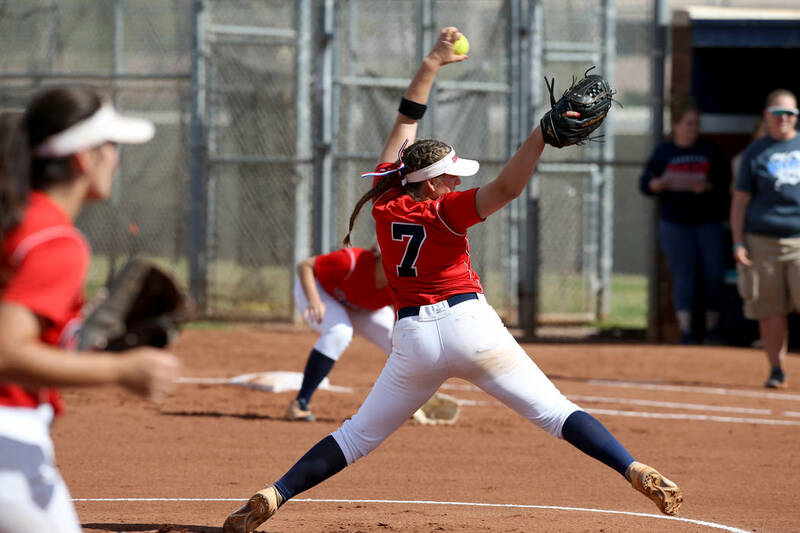 Brooke Detommaso tossed a five-hitter and struck out two for Bonanza. Madison Ruiz went 2-for-4 with a triple and a RBI for Legacy. Green Valley 12, Spring Valley 2 — At Green Valley, Olivia McClain was 2-for-4 with a home run, a double and three RBIs to help the Gators top the Grizzlies in five innings. Alyssa Vigil was 2-for-2 with two doubles and an RBI, and Savannah Vincent went 2-for-4 with two RBis for Green Valley. Ava Mearideth was 2-for-2 with an RBI for the Gators. Brianna Villarreal and Teegan Teal each went 2-for-3 for Spring Valley. 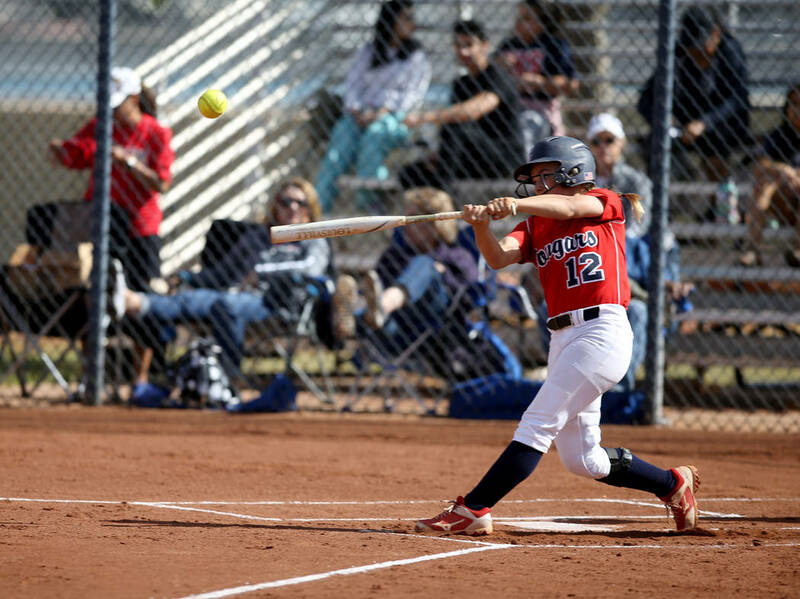 Liberty 16, Sierra Vista 5 — At Sierra Vista, Shelby Carvalho was 2-for-2 with two home runs, including a grand slam, and six RBIs to help the Patriots tame the Mountain Lions in five innings. Fia Tofi was 2-for-4 with a double and two RBIs for Liberty, which had every starter collect at least one hit. Holarose Nakayama was 2-for-3 with a triple, and Aaliyah Medina and Taylore Edwards each went 2-for-2 for Sierra Vista. Eldorado 14, Clark 0 — At Clark, Roshanda Stevens was 3-for-3 with a home run and five RBIs to lead the Sundevils to a five-inning win over the Chargers. Penelope Zuniga was 3-for-3 with a double and four RBIs, and Adriana Romero was 3-for-4 with a double and an RBI for Eldorado. Adriana Romero scattered seven hits and struck out 11 for the Sundevils. Audra Vervan went 2-for-2 for Clark. Foothill 17, Durango 2 — At Durango, Jocelyn Shupp was 2-for-3 with a double and four RBIs to help the Falcons rout the Trailblazers. Angelina Rodriguez was 2-for-4 with two doubles and two RBIs, and Morgan Matsumoto was 2-for-3 with two RBIs for Foothill. Kaitlin Fazendin was 2-for-3 with a home run and two RBIs for Durango. Desert Oasis 19, Tech 1 — At Tech, Cynthia Alvillar went 2-for-2 with a double and three RBIs as the Diamondbacks routed the Roadrunners in three innings. Amber Brocoff was 2-for-3 with a double for the Diamondbacks, who scored eight runs in the first inning. Chaney Park went 2-2 with a RBI, and Harlee Makua-Vascellanos was 2-for-2 for the Roadrunners. Virgin Valley 9, Chaparral 7 — At Chaparral, Kaysha Heath went 3-for-4 with a triple to help the Bulldogs edge the Cowboys. Ally Wright was 3-for-5 for Virgin Valley. Savanna Harper was 2-for-4 for Chaparral. 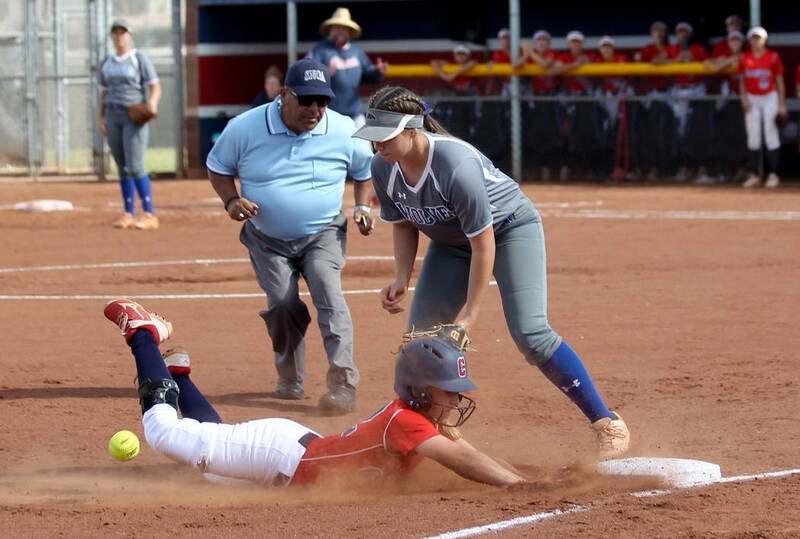 Cheyenne 21, SLAM Academy 4 — At Cheyenne, Iraliya Ferreira went 2-for-3 with a double and three RBIs as the Desert Shields routed the Bulls in three innings. Myon Broadnax tripled and drove in two runs, and Maria Borrero doubled for the Desert Shields, who scored 12 times in the first inning. Madelynn Kennedy tossed a one-hitter and struck out eight for Cheyenne. 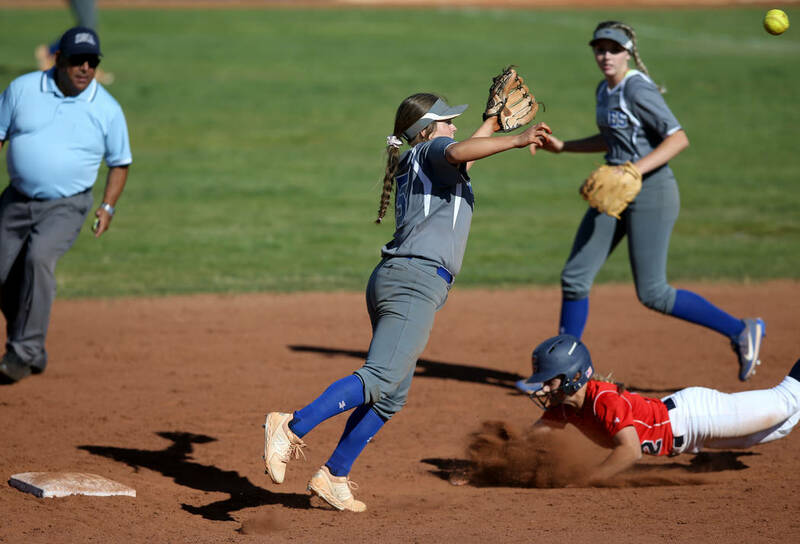 Pahranagat Valley 24, Sunrise Mountain 8 — At Sunrise Mountain, Morgan Harris was 4-for-4 with a home run, two doubles, five runs and four RBIs to lead the Panthers to a six-inning win over the Miners. Rebecca Taylor was 2-for-4 with a home run, a triple and five RBIs, and MacKenzie Ingram was 3-for-4 with two RBIs for Pahranagat Valley. Needles 16-11, Lincoln County 8-10 — At Needles, California, the Mustangs won the opener in eight innings and edged the Lynx in the nightcap.